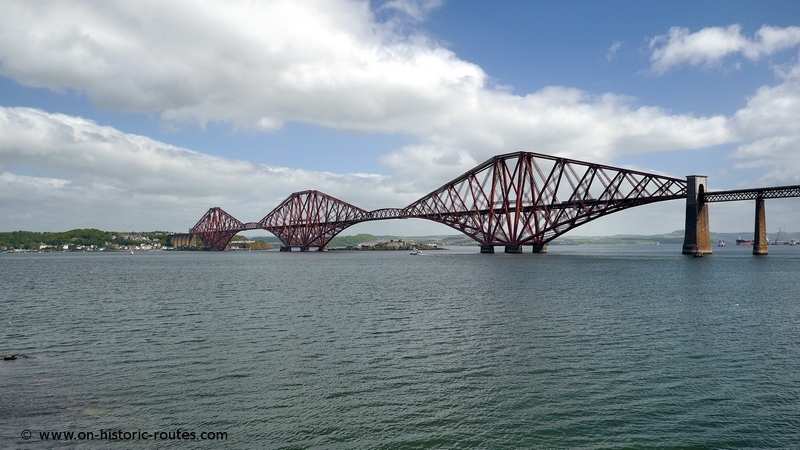 The railway bridge across the Firth of Forth near Edinburgh in Scotland is one of the most iconic bridges in the world. 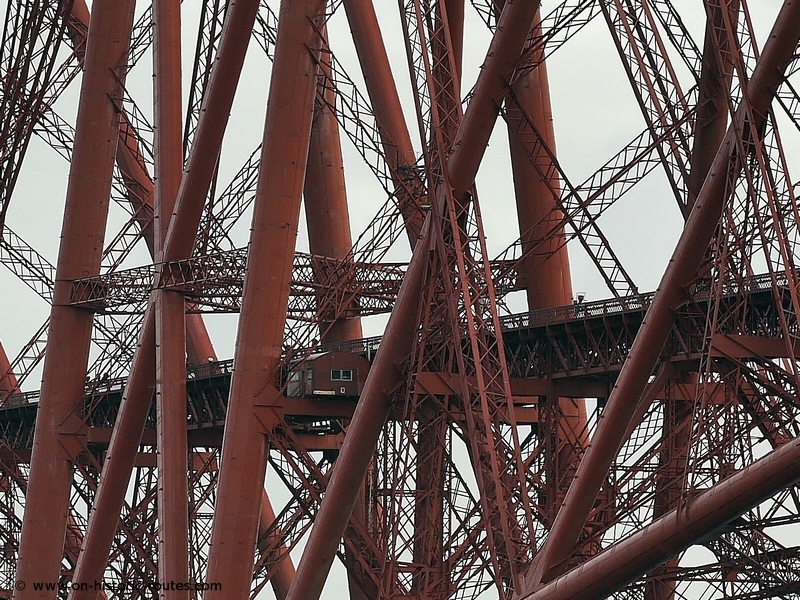 During my last visit to Scotland I enjoyed spending some time taking pictures of the historic Forth Bridge. 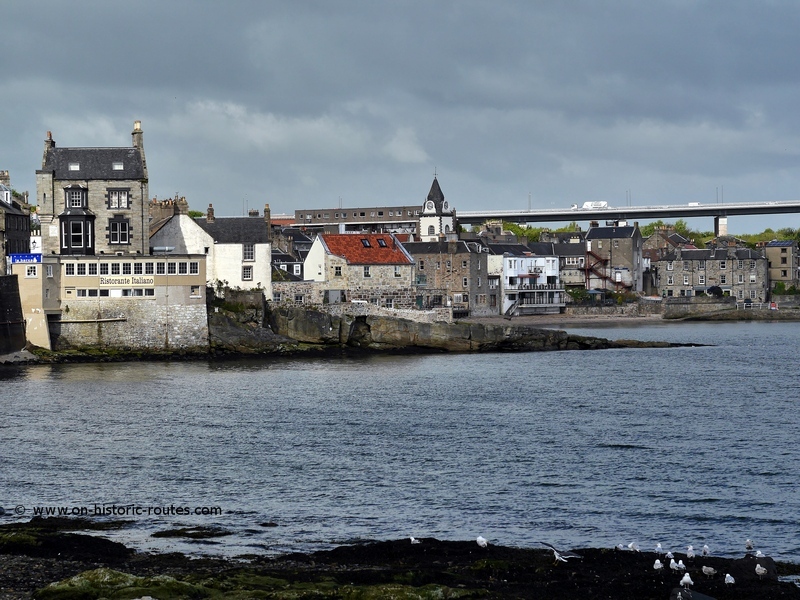 South Queensferry at the southern end of the bridge is a small town less than 20 km from Edinburgh. 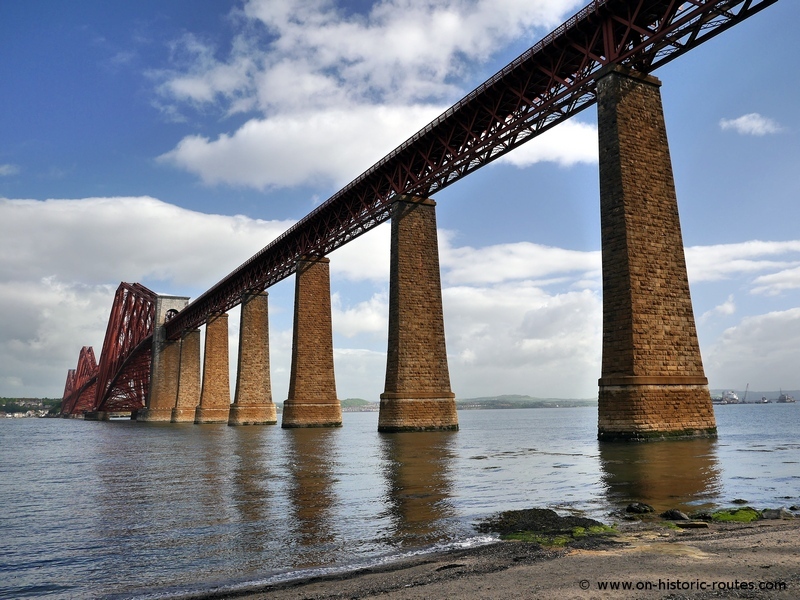 It has been the site for a ferry crossing of the Forth estuary for centuries before the bridge was built in the 1880s. Now the historic Forth Bridge and the Forth Road Bridge dominate the views across the Firth of Forth to North Queensferry. It is a good place for taking pictures and a nice place in itself with small shops and cafes. 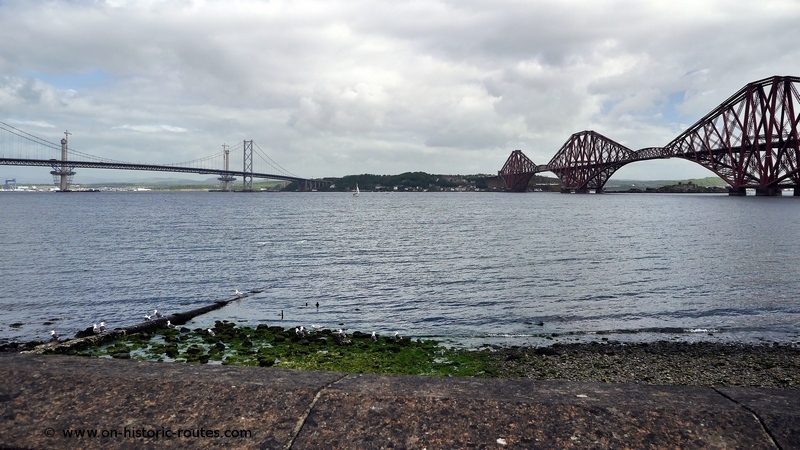 Panoramic view towards North Queensferry with both bridges. Note the pylons on the left – a third bridge is being built. The Hawes Inn next to the old jetty. 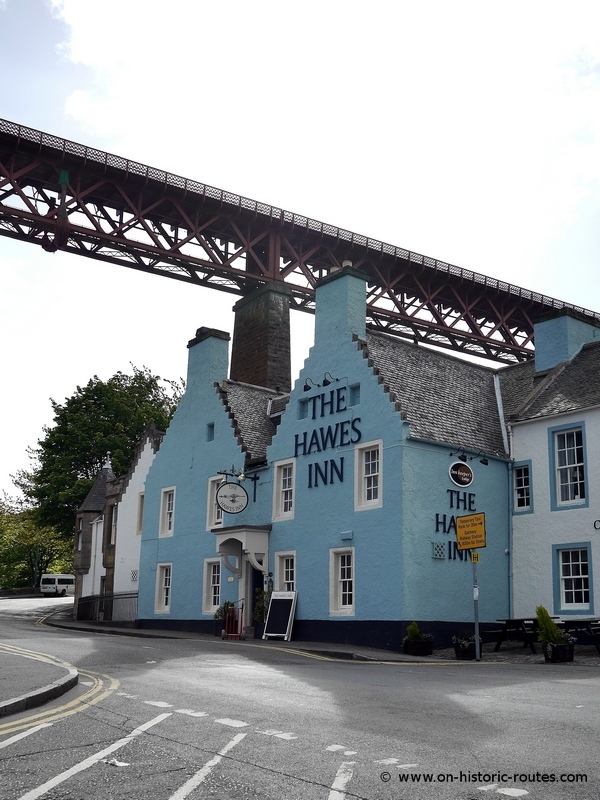 This 17th century inn is featured in Robert Louis Stevenson’s novel ‘Kidnapped’. Details of the iconic steel structure. The railway runs 46 m above sea level at high tide. An imposing structure from the beach.